In 2014 I visited Rainbow Bridge NM by boat. The ride up Lake Powell to the mouth of the canyon was enjoyable, it was late May and being on the water made it comfortable on a hot day. Once the boat turned into the canyon it felt like a maze of water and rock walls, at the dock it opens up a bit, but the natural bridge remained hidden. From the boat dock you hike to the bridge, currently about 1 mile, each way. 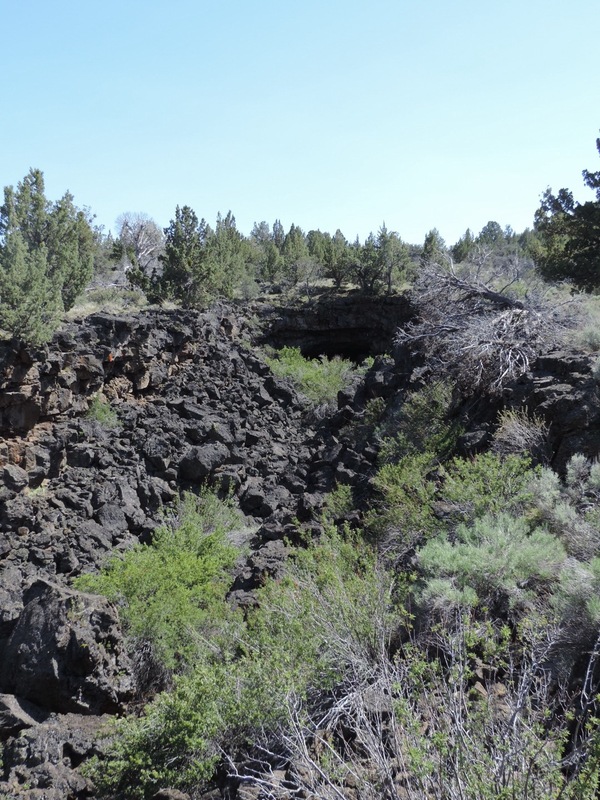 In a short distance you can see the bridge, no pictures can describe the grandeur of this natural geologic feature. 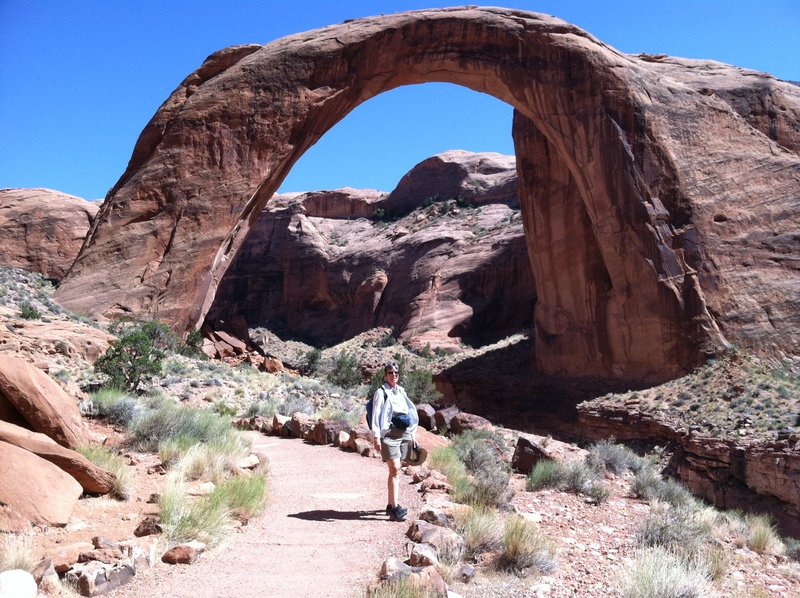 A hike of 16 -18 miles one way, across the Navajo Nation (permit required), is the only other way to reach the bridge. 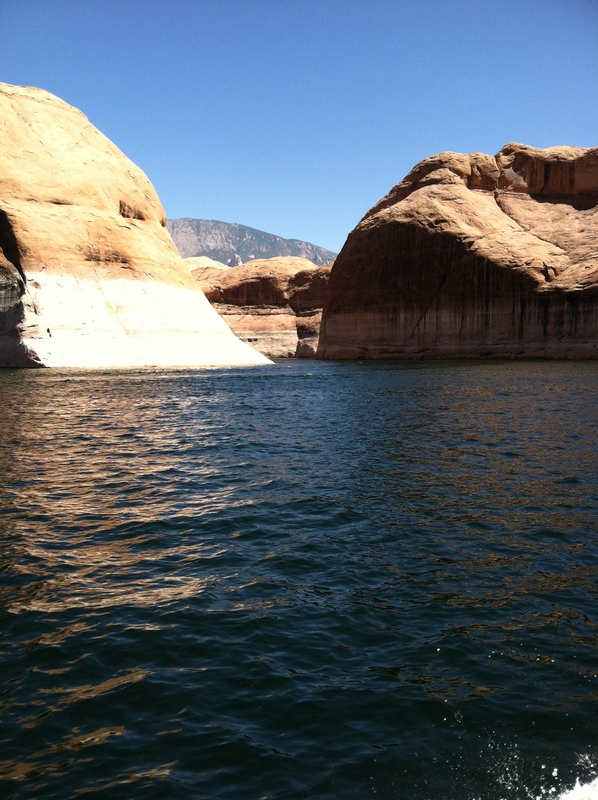 The boat tour begins at Wahweap Marina, a short distance from the Glen Canyon Dam and Page, AZ. 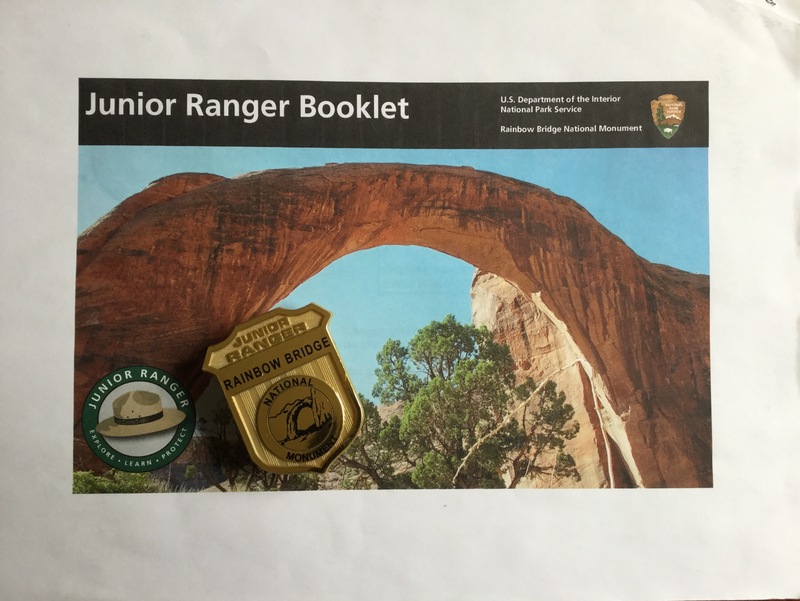 Prior to visiting Glen Canyon NRA in 2016, when I downloaded and printed their Junior Ranger booklet, I discovered that the last few pages included the program for Rainbow Bridge NM. While writing this post I discovered that the link listed above is a different booklet. It appears to be relatively simple, as the booklet I completed, but the activities are different. For either booklet you can complete the Junior Ranger program without visiting the bridge, however if you aren’t able to visit during your visit I hope in the future you can see this beautiful natural bridge. 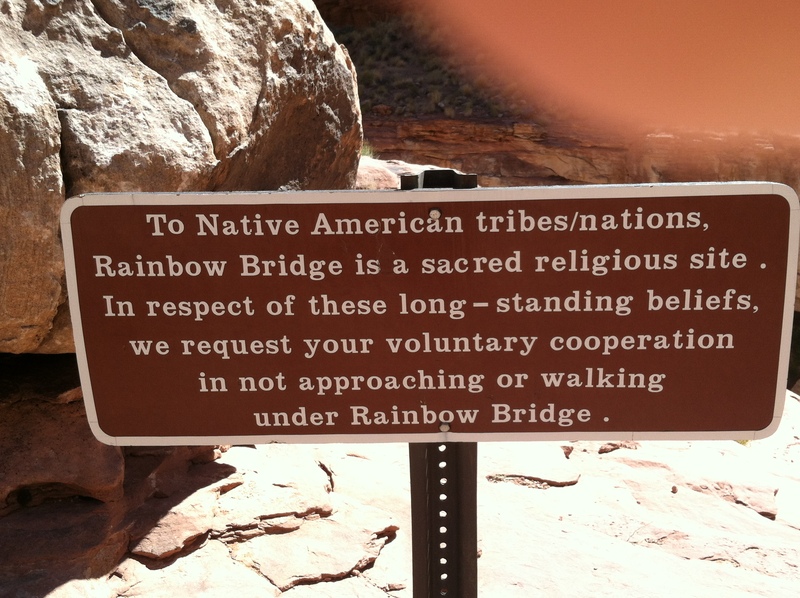 The Rainbow Bridge program I completed, at the back of the Glen Canyon NRA booklet, has no age groupings and at least 2 activities are to be completed. The booklet linked above does have age groupings and someone 12 or older is to complete all five activities. Both booklet requirements allow this program to be considered Senior Friendly. The activities in the booklet I completed are; Forming Rainbow Bridge, Rainbow Bridge National Monument (4 questions), and Rainbow Bridge Sign Scramble. Matching a description to four small pictures helps you understand how natural bridges are formed. The answers to the four questions in the activity titled Rainbow Bridge National Monument can be learned from a park ranger, tour guide or park brochure (available online). I enjoyed the Sign Scramble, it provided a fun way to learn more about the bridge. 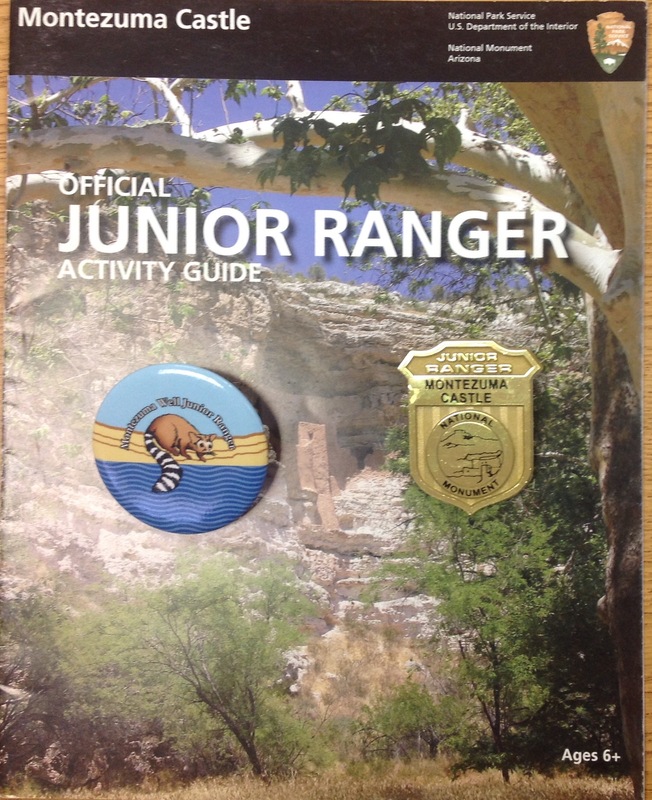 Once I completed the booklet I took it to the Carl Hayden Visitor Center at Glen Canyon Dam, unfortunately the park rangers were in a training session, but the tour staff for the dam gave me the Junior Ranger badge. The bridge is featured on this enhanced badge. *The booklet provided from this link is different from the one described in this post. Most of us know Glen Canyon National Recreation Area as Lake Powell, straddling Arizona and Utah. Over the years I have visited many the of sites within their 1.25 million acres, but this is the first time I worked on the Junior Ranger Program. It was a great way to understand the diversity of the park. Besides having lots of water, there are also locations which feature wildlife, history, paleontology and archaeology. This program is considered Senior Friendly as there is no upper age limit. Three ages groupings with a minimum number of activities for each range is provided. The groupings are; ages 6 to 8 complete 3 activities, ages 9 to 11 complete 5 activities and ages 12 and up complete 7 activities. Glen Canyon NRA activities include; The Best Way to Care for the Land, From Fast Swimming to Fossilized, Crossing the Mighty Colorado – in the 1800s, Crossing the Mighty Colorado – Today, Who Needs Water, Take an Artistic Break, The Amaze-ing Colorado River Watershed, One Glen Canyon, Many Voices, Desert Dwellers, Power and the River, Ancient Ones if Glen Canyon, Experience Your America! 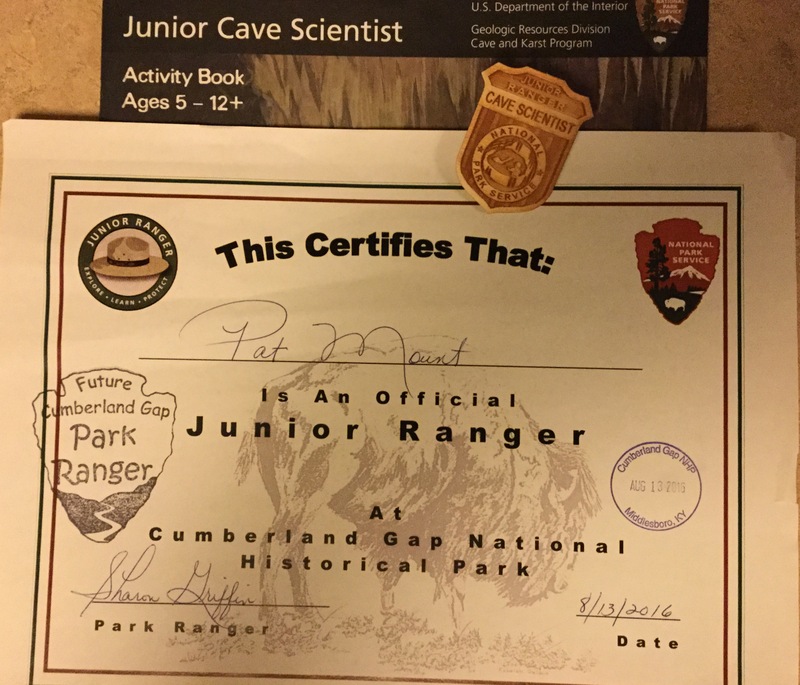 and Junior Ranger Participation Log. In the middle of the booklet is the Junior Ranger Participation Log, something I have not seen very often in booklet, but a good idea to keep track of the different activities completed. My log included camping at Hite where we say Great Blue Herons roosting on the cliff across the river. 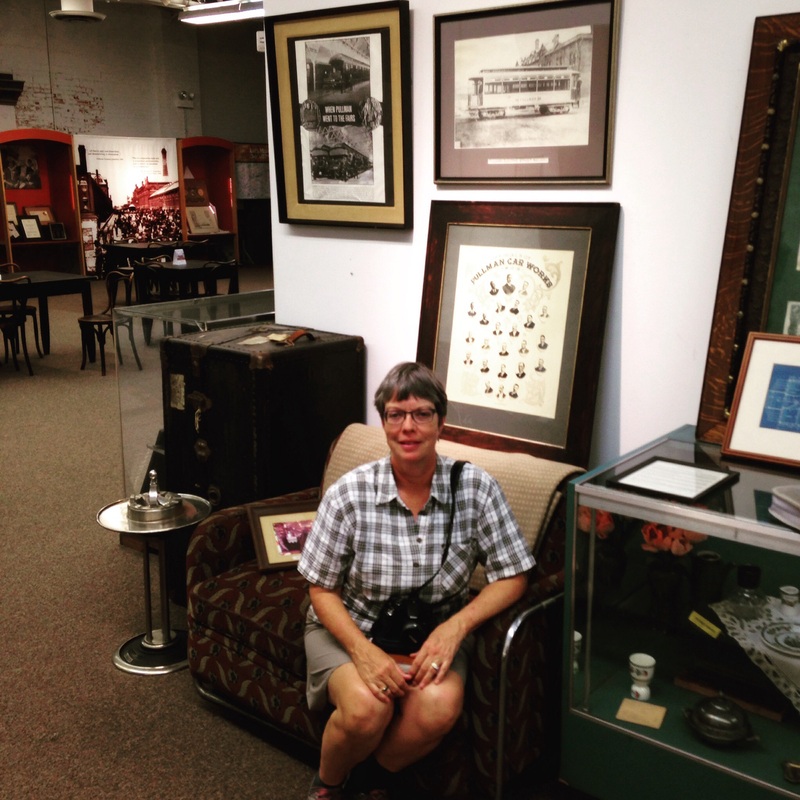 Another activity was hiking through the Lees Ferry Historic District. I sketched the old boiler I saw for Take an Artistic Break activity. This is a great place to see birds and lizards. One Glen Canyon, Many Voices has you match 9 pictures of people you could find within the recreation area; boaters, dam workers, Native Americans, ranchers and park rangers are a few examples. The 9 different Desert Dwellers, a bingo-style activity, presents different adaptations that plants and animals use to thrive in this environment. As you see something that matches that adaptation you are to draw that plant or animal. For Big Ears I saw a Black-tailed Jackrabbit and drew the ears, for Thermoregulation I saw several lizards and did a quick sketch of a lizard. A number of the activities were simple enough that the the younger age groups will be able to easily complete their minimum requirement. Overall the booklet had a good diversity of activities to help you appreciate this very large park site. I took the completed booklet to the Carl Hayden Visitor Center at the Glen Canyon Dam to be reviewed. 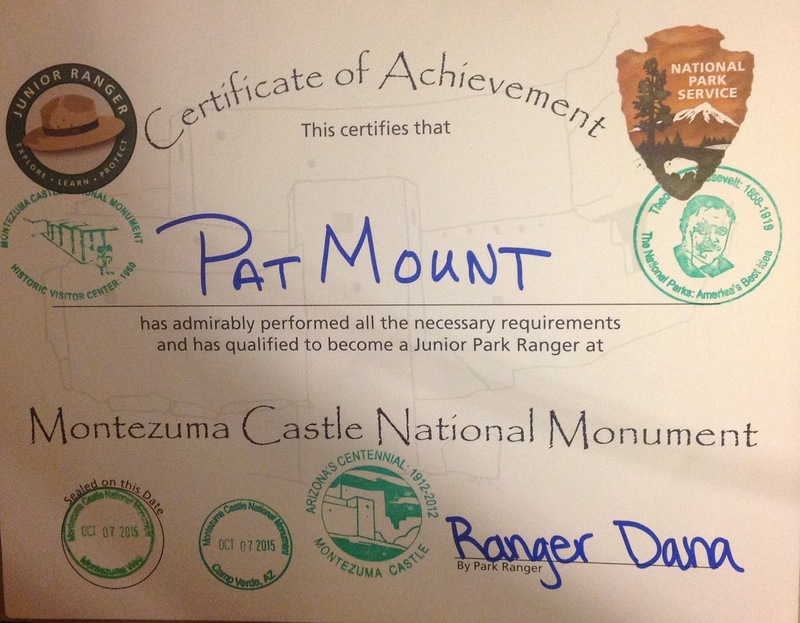 The day I was there the park staff was at training, so the tour staff for the dam gave me my Junior Ranger badge. No review or pledge, this time. Montezuma Castle National Monument includes two locations; the ruins, known as the castle, and a well, a few miles north. 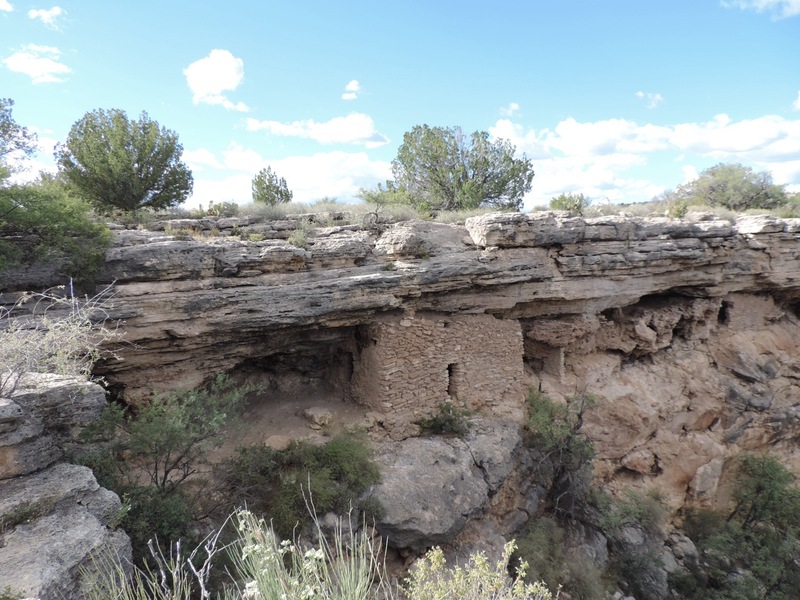 The castle is actually a set of ruins built by the Sinagua around 1400 CE (current era), it contained 45-50 rooms. 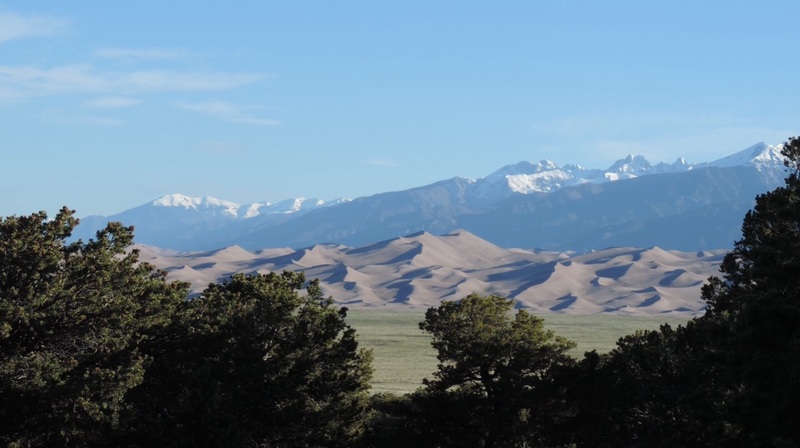 This site was the first place to be named a National Monument by President Theodore Roosevelt in 1906. 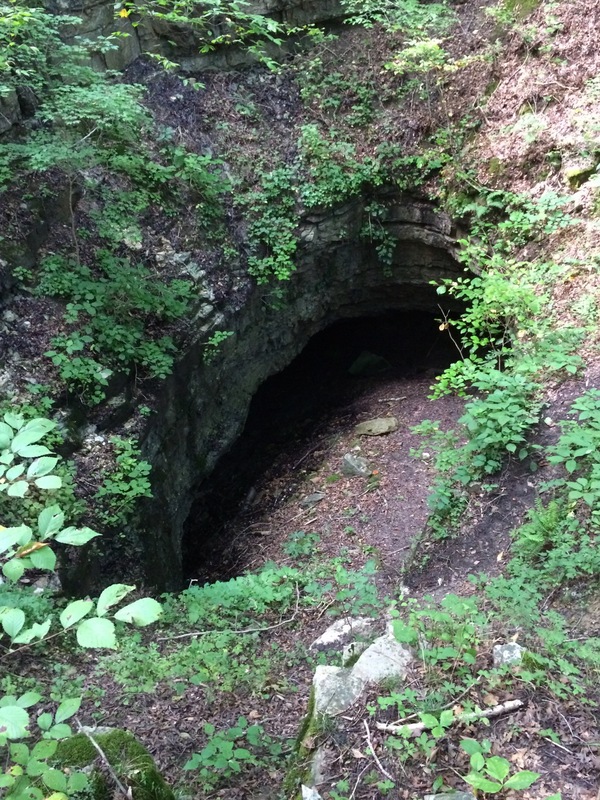 The well has ruins built into the walls of a sinkhole and a walking trail that connects to the year-round Beaver Creek. Over the years Montezuma Well has always been a favorite place to visit. 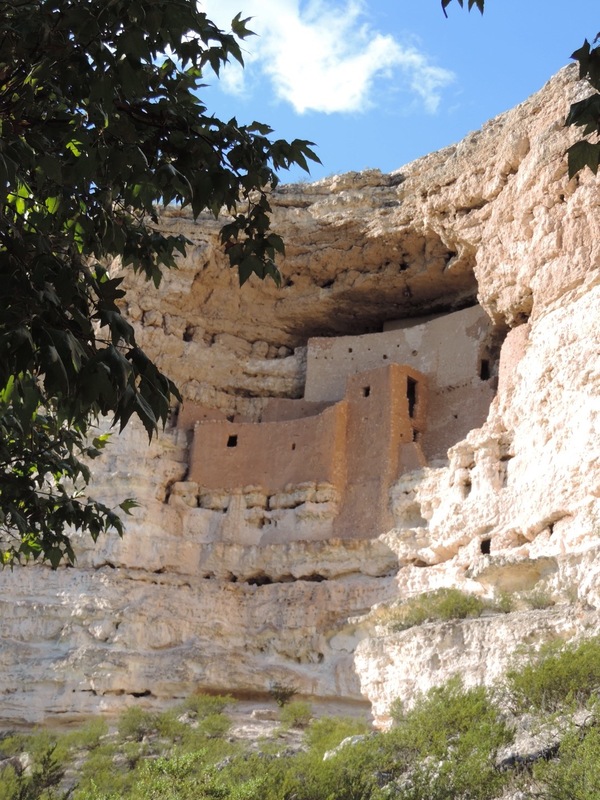 It is not as popular as Montezuma Castle, but well worth a visit. 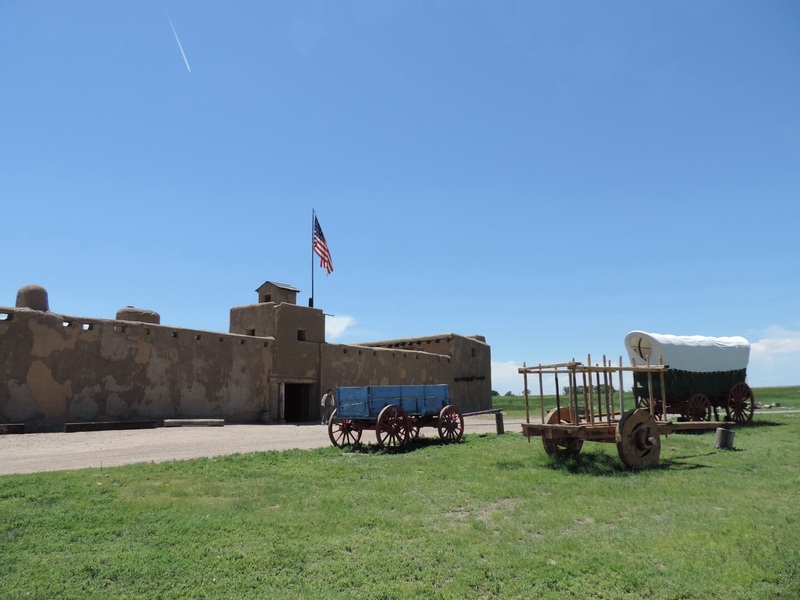 This Junior Ranger Activity Guide includes pages for both the castle and the well. It is considered Senior Friendly as there are three age groups; turtle symbol for 6-7 years old, sycamore leaf symbol for 8-9 years old, and macaw symbol for 10 years or older. This booklet allows you to complete activities towards becoming a Junior Ranger at Montezuma Castle or Montezuma Well or both sites. The age symbols indicate which activities each group should complete. The activities include; Explore the Museum, Where would you build?, Getting Around, Knowing your Neighbors, Living at theWell, That’s a lot of water!, Nowhere Else on Earth, Surface Water: Swallet, Outlet, & Ditch, Sit, Look & Listen, Poetry Corner, and Share with a Park Ranger. . . The museum at the Visitor Center had the answers for the crossword puzzle titled Explore the Museum. I learned about the different Native American tribes that called this area home. I appreciated the information provided about using current terminology to identify timekeeping by archeologists. CE, Common Era, is now used in place of A.D. and BCE, Before Common Era, in place of B.C. Math skills were needed to complete the Getting Around page, this activity had you calculate how long it would take you to walk to Phoenix from the Verde Valley. Based on my calculations it would take me at least 12 days to walk the 125 miles. Once at Montezuma Well the activity Living at the Well has you collect dates at the different kinds of homes lived in over the years, then calculate how old is the oldest house at the well, almost 1000 years. Nowhere Else on Earth has you identify the unique plants and animals, in this case very small specimens. For the Poetry Corner I wrote a cinquain-style poem about the well. Before leaving the Montezuma Well I had the ranger on site review what I had done, he then presented me with a colorful button as their Junior Ranger badge. Back at Montezuma Castle the booklet was reviewed and the standard badge was presented. The inside back cover of the activity guide contains the Certificate of Achievement. On a hot, sunny day outside of Albuquerque I stopped by Petroglyph National Monument to complete their Senior Ranger program. 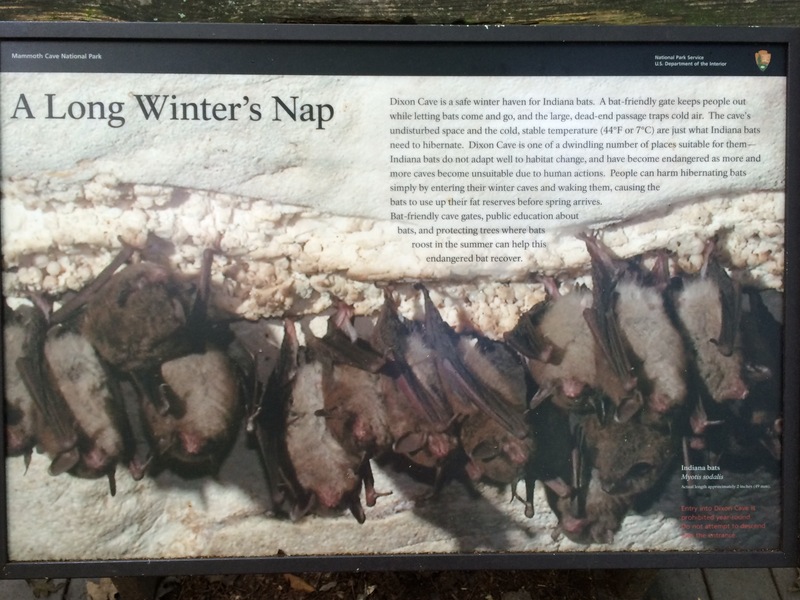 I always appreciate park sites which have developed a program specifically for adults. 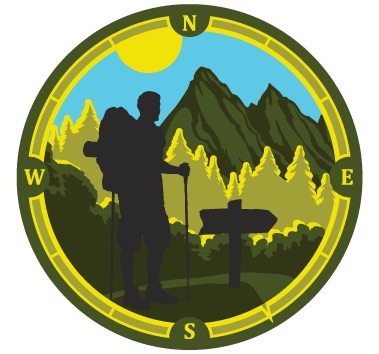 The booklet contains eight activities which all have to be completed to earn the Senior Ranger award. Most of the activities can be completed in the vicinity of the Visitor Center, both inside and outside. The Native Plants activity was my favorite, always eager to learn more about how plants were used by Native Americans. One activity does involve visiting one of the petroglyph sites, all a short drive from the Visitor Center, to record your reflection of what life would have been like over 700 years ago. 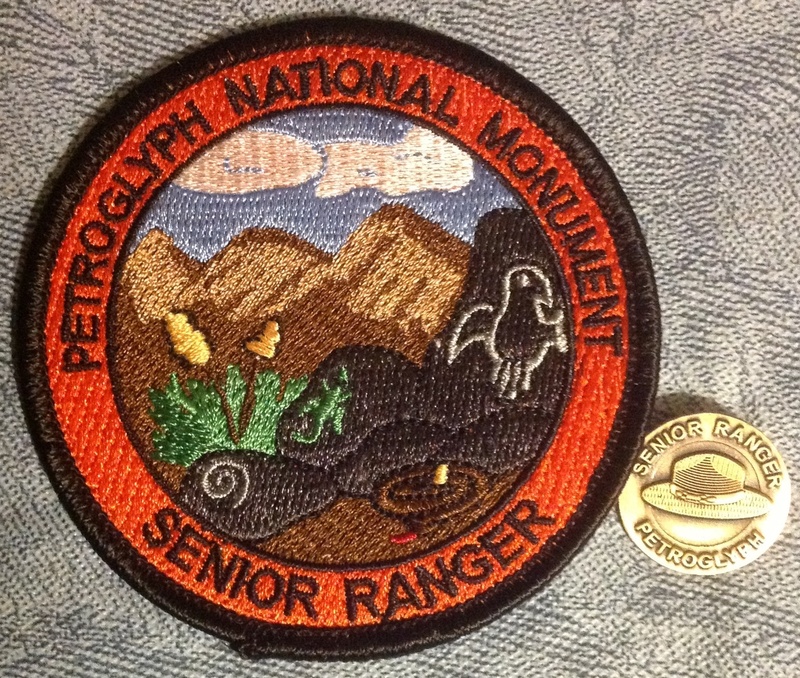 Besides receiving a colorful Senior Ranger patch, a very nice brass hat pin is also awarded. 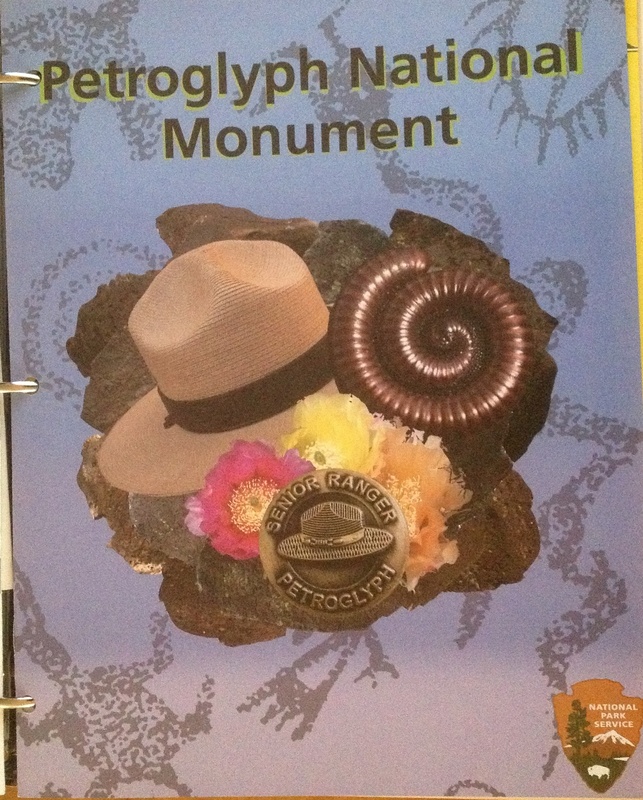 Thanks to the staff at Petroglyph National Monument for providing this adult-centered program!